2017 has been a fruitful year for us here at Bouden Coach Travel, over the last 12 months we’ve had the pleasure of helping out many different clients. Now on to 2018! Due to vast amounts of enquiries, we’re looking to recruit new affiliates to join our army! Call us on 0800 112 3770 and speak a member of our team for more information. Bouden Coach Travel’s head office is based in Birmingham and is a leading supplier of transport in the UK. 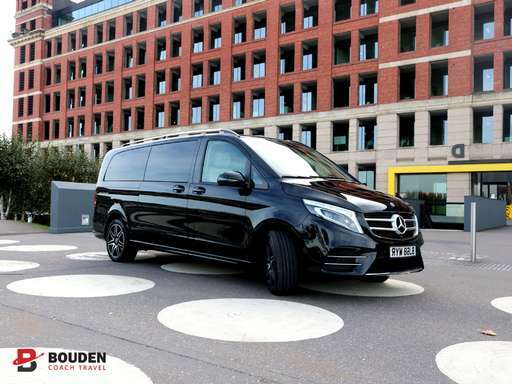 We supply vehicles and drivers, catering to groups of all sizes for a wide range of purposes including but not limited to; disaster recovery, rail replacement, school trips, personnel transport, airport transfers, sporting team fixtures and airline crew movement. We also offer more executive packages for events such as race days, sporting events, weddings, corporate travel and hospitality. Recently we have been receiving many new enquiries for transport across the UK including coach hire, minibus hire, chauffeur car hire and taxi services. Due to this high demand, we are looking to add operators to our list of affiliates so that we can pass this work on to you. We’re looking for operators with 24, 33, 49, 52, and 72 seat coaches, 16 and 19 seat minibuses, MPV’s and cars? Call us on 0800 112 3770 to ask how you can be added to our affiliate list. We can’t wait to get down and dirty in 2018, in the pipeline we are planning on introducing our very own cross-country tours, taking our clients international. We take pride in offering our clients the very best in all things transport and you can be a part of it!